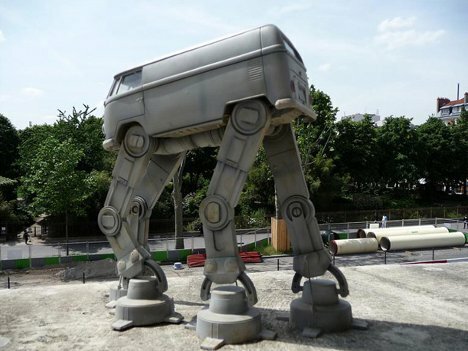 This unbelievably awesome Volkswagen T1 van turned Imperial AT-AT Walker is just about the greatest mashup of two already-great things we have ever seen. If it actually worked as a vehicle rather than the coolest art car ever, we don’t even want to think about what we’d do to get our hands on it. 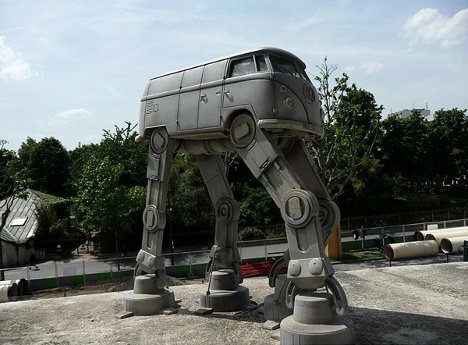 There doesn’t seem to be much information about the VW AT-AT other than it seems to be located somewhere in Europe, but that’s okay. When something is this excellent and geeky, pictures are enough. See more in Art Vehicles or under Transportation. February, 2012.